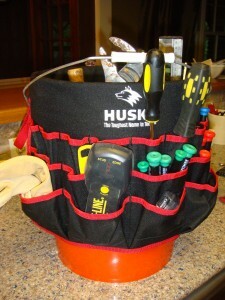 My husband organizing his tools on his own..
And if you haven’t signed up for my newsletter and would like to read about my pool bag organizer - just click the newsletter button on the top right and I’ll send you it, along with other summer decor and organizational ideas, right away! I have welcomed two fruity additions to the house in the last week. 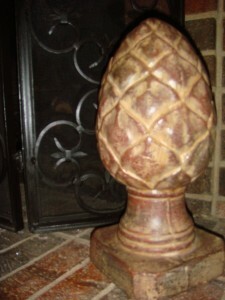 Meet pineapple on the mantel and pear in the frame. I spotted this avocado pineapple up in a wonderful, local antique store called Locust Street Market. It was kind of like a love at first sight experience. The store owner also told me that pineapples are a sign of hospitality. Well then, welcome to my home little pineapple. See how more hospitable I am already?! 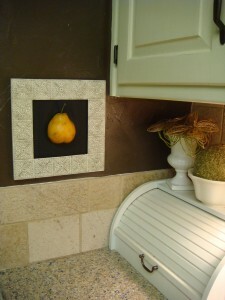 And I loved copying the much craved after fruit in the frame that was started by Angie @ The Happy Homebody. I simply took my to do list that I wasn’t using anymore because of my new weekly schedule and gave it a fresh new coat of paint, cut the styrofoam pear in half and glued it on. Because I already had all the items needed, it was a zero dollar project! Got to love that! Wooo, Wooo…Fun Find and FREE Find Alert!!! Let’s just start with the background story. 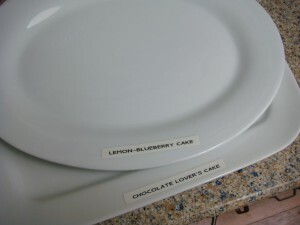 I was at a potluck the other day and my friend Sara, had used her labeler to label the deserts that she had made. 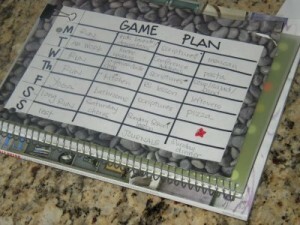 I thought it was such a simple and fun idea and any way to use a labeler is a dream for me! I thought they especially looked good on her white platters, don’t you think so too?! One problem, I don’t have a labeler. I know, shocker. Maybe I’ll buy one for myself for my next birthday. So of course when I spotted these precious things, at my favorite store, Nell Hills, I knew instantly what I wanted to use them for. And after some explaining and affirmation from my family members shopping with me, this little one came home with me. I couldn’t wait to use her so I stuck her in a desert the next night at dinner - I think everyone knew it was a chocolate cake - but maybe not a TRIPLE chocolate Creme one. 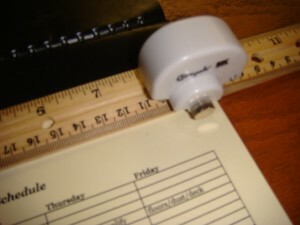 Not happy with the blue dry erase marker so I must get a black one before the next potluck! 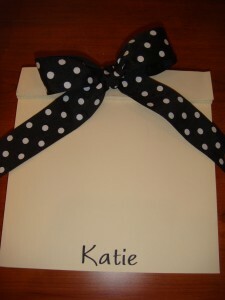 And speaking about labels - have you seen Laurel’s Wet Bag Creation? 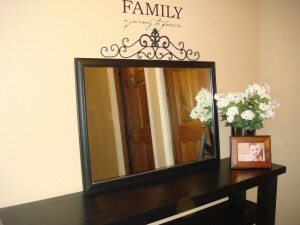 I love it so much that I have used it as one of my features in my Summer 2009 Newsletter along with other great summer ideas. If you would like to receive the newsletter just click on my “Newsletter” button on the top right side and I will send it right on over! 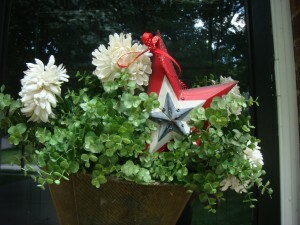 And thank you to Julia @ Hooked on Houses for another great Hooked on Fridays Party. I linking this one up! The offer is good through July 2 or while supplies last. Go, Go, Go!!! Thanks Sara for the tip! Is it right that when you have a family garage sale in order to give away a ton of stuff, you actually end up adding some beautiful pieces to your own collection?! 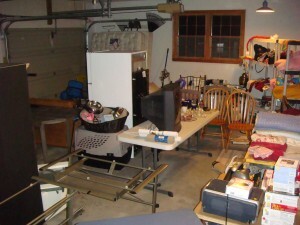 Last weekend’s garage sale was a hit but the best shopping occurred before and after the sale even took place. 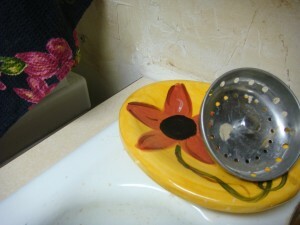 Mindy, my sister-in-law, was going to sell one of her hand painted soap dishes that had a crack in the bottom - but I was not going to let that happen especially because I knew it would go great next to this towel in my laundry room. I don’t see any cracks and now her beautiful artwork is holding an ugly sink plug. Sorry Mindy. I also scored (but really am just holding) this bread box until she has the room because I would not let this one go either. 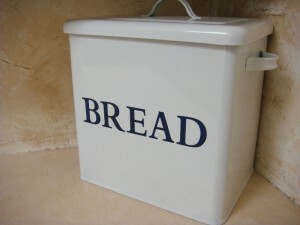 It is sitting in my laundry room, not storing bread, just looking pretty. 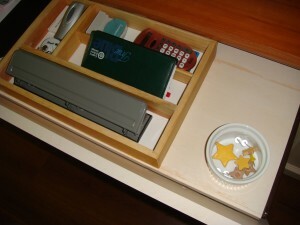 I used a silverware holder she was going to sell for a quarter to organize my supplies in my pull out tray in my desk. I don’t think she is really missing this one at all. 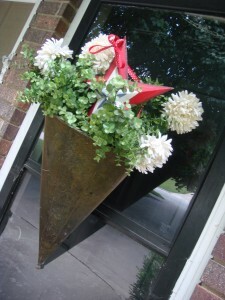 But one of my favorite pieces I snagged after the sale when no one else had claimed it from my other sister-in-law, Joy, was this metal star that gives off some 4th of July spirit in a flower holder outside. Oooo, I love it! 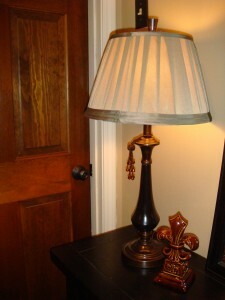 I found this beauty at Hobby Lobby, 50% off and the fleur de lis was $2.00 in the 80% off section. 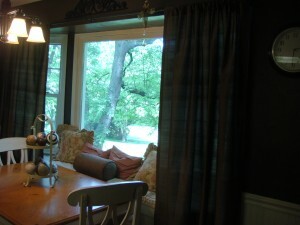 And thank you to Rhoda at Southern Hospitality as I link this post up over at her place for her Thrifty Treasures Party. Enjoy all the great finds! With all the traveling going on this summer, I thought it would be a good time to share my memory postcard idea. Well, I’m sure it was someone elses wonderful idea but now it’s mine! See, I’m not really a scrap booker but I still want to remember trips and vacations that our family goes on without spending a lot of time or money. 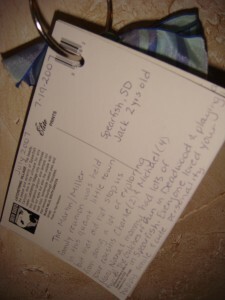 So you simply buy a postcard where you visit and fill out the back with some of the fun or memorable things you did on the trip. 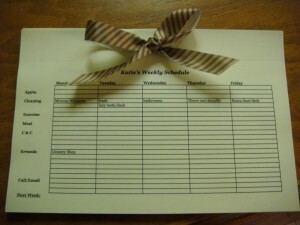 Make sure to date it and then punch a whole in the corner through a ring clip and add a pretty little ribbon from your ribbon holder and you got yourself your own vacation memory holder! I imagine when the boys get older they will even get to write on the postcard about their favorite vacation memory. And if you forget to buy the postcard when you are on your trip, like I have already done a number of times, or if you want to start your vacation postcards now, you can check out and purchase cards from Legends of America Postcards and browse through postcards from all 50 States. 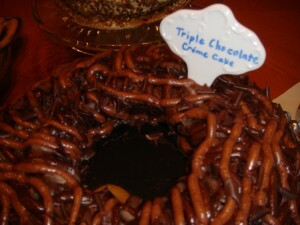 This is a definite ‘Works for Me’ so I’m adding it to Kristen’s Party today. Happy Travels! I’ve never been on this side of the garage sale and let me tell you - I have a whole new appreciation for the people that put these together. My sister-in-law and I spent over an hour last night just trying to hammer in four signs around the neighborhood. 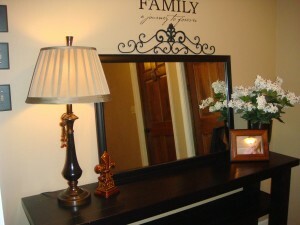 And right now finding a new lamp (50% off at Hobby Lobby this week) for this space, is my motivation. I know, I’m pretty easy…all I want is a lamp! 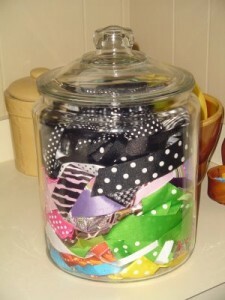 I know Amanda now has a ribbon jar, which I love. 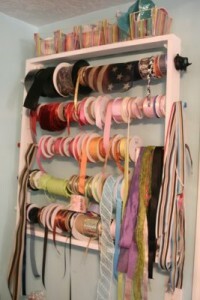 And Rachel has a whole rack/wall full of ribbon, which I am jealous of. 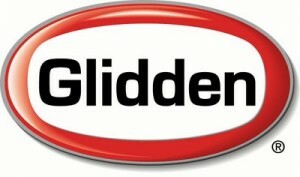 I love ribbon and I’m sure it started when I had long hair and played soccer and basketball. One of my favorite things was to pick out what ribbon I was going to wear for the big game. Okay, I did love to play sports, but a good tight hairdo was a must. 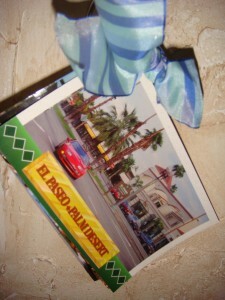 Off track – but getting back on…Now, older, shorter hair…I love ribbons for gift wrapping. 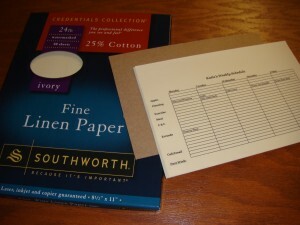 They can just add a sense of uniqueness and pop to any gift. But I hated my ribbons getting wrinkly, then I would have to iron them - am I the only ironer of ribbons?! 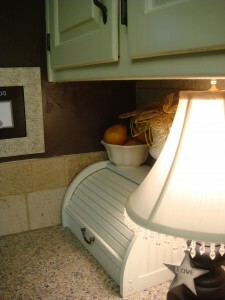 So I think I found a creative way to use an old paper towel holder. Unfortunately these paper towel holders aren’t just anywhere but I’m glad there was another use for them because between you and me – it stinks as a paper towel holder. 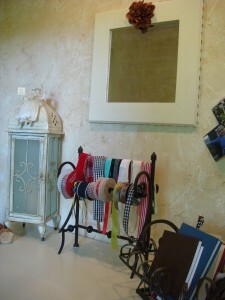 Now my ribbons sit pretty. 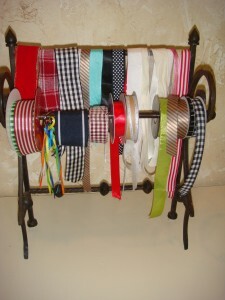 What works for your ribbon?! I’m linking this to Kristen’s Works for Me Wednesday Party where just last week I not only gave away my first giveaway but I also won my first giveaway! 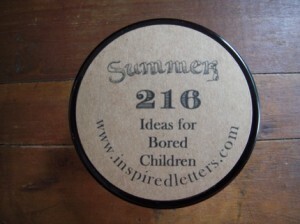 A beautiful jar filled with fun ideas for kids over the summer. You can check out Eileen’s other cute jars at her Etsy Shop! And did you notice Our New Etsy Shop Button?! You should check her out! The hubby did a good job! I know it is probably one of the boldest colors in our house, although it still is a brown which I don’t really shy away from. 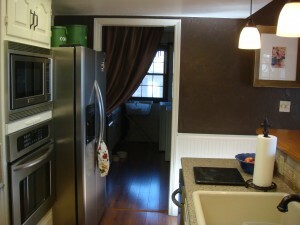 But offset by the cream bead board it has probably, over time, became my favorite color in the house. Just to let you know the background story. It was intended to be used as our ceiling for our theatre room, but it was mixed wrong so now it has found a place in our kitchen. Now I’m off to go see some real colors at 320 * Sycamore! 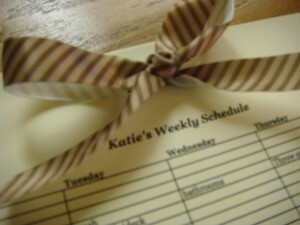 My Weekly Schedule and Giveaway Winner! I have a day planner. I like to write to do lists. But I always think I might forget something. 1. 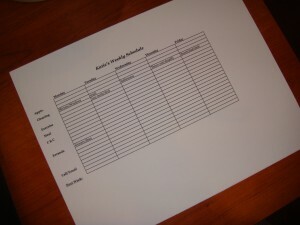 I created my schedule on excel. (I would be more than happy to send you a copy of the format if you would like). 2. I printed it off on linen paper and cut it according to the size of an old note pad backing. 4. 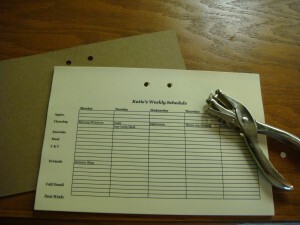 I used a small perforator to make lines along the top so I could rip each week off. 5. Tied with a ribbon. Seriously - that easy and CHEAP! Now I should never miss any cleanings, appointments, exercises or dinners… Yeah right!